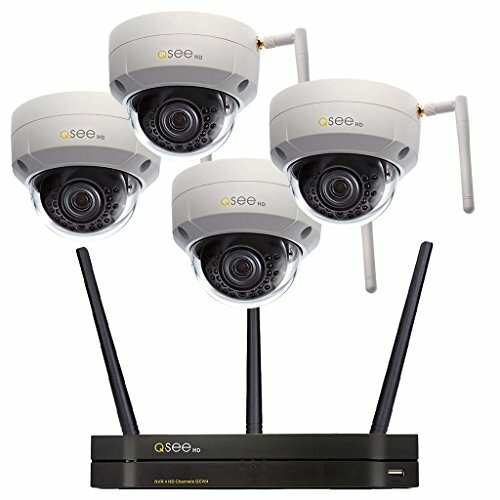 Q-See’s wireless bullet and dome camera series boasts an impressive array of features and comes in a wide variety of arrangements. 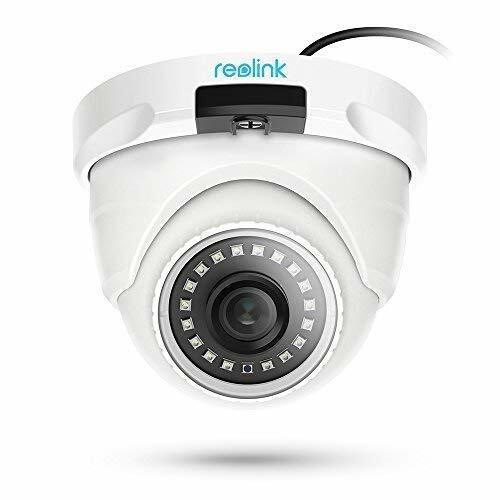 Once you’ve figured out your surveillance requirements, you can order a mix of cameras weighted in favour of bullet or dome styles depending on your needs. The $629.99 option gets you four dome-style cameras, perfect for discreet indoor use. 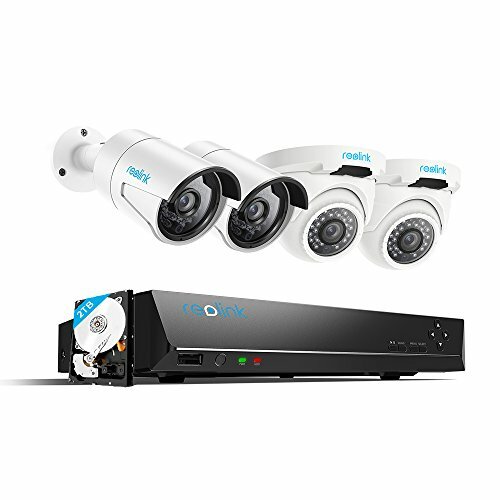 QCN Wi-Fi cameras are internet protocol by default so they’ll work with Q-See NVRs, meaning you benefit from the long list of features which come with those systems. You’ll also be able to use the Q-See app to monitor and manipulate the feed from your smartphone, tablet, or personal computer. These wireless setups are a fairly expensive mid-range option, making them perfect for larger residential or small business usage. The cameras operate at 2.4 GHz and output at 1080p true HD, and come with a host of features to improve image optimisation. There’s not going to be much in the way of physical installation as the wireless configuration eliminates the bulk of any DIY you’d otherwise be doing for cabling. The cameras themselves are suitable for indoor or outdoor use, as they’re sufficiently protected to survive the elements without being too obtrusive in a medium-to-large residential home. If you’re just looking to cover a single room or outside space, then it’s worth choosing one of the smaller packages which will net you two cameras and the NVR for around five hundred dollars. The full package you’ll receive should weigh between ten and thirteen pounds and comes sealed with a Q-See quality assurance sticker, so it’s not unwieldy to handle and unpack. 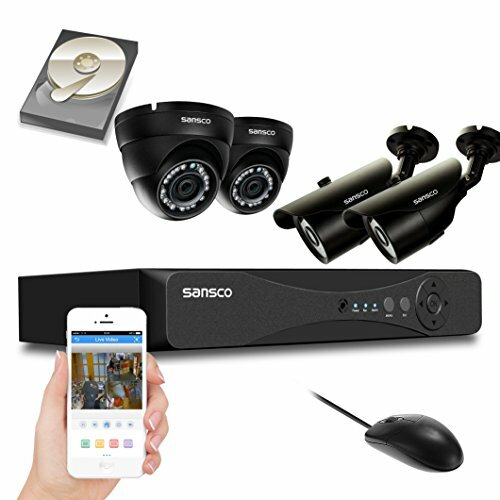 In terms of technical specifications these Wi-Fi cameras are what you’d expect from something at this price. Wireless transmission occurs at 2.4 GHz with standard 802.11 specifications, at a range of up to 150 yards or so. The cameras record a 3-4 megapixel image at 1080p, though this can be reduced to 720p if you’re looking to boost the frame rate. The dome cameras have fixed horizontal movement path and a relatively short effective range, so consider something with zoom functionality if you’re looking for longer sightlines. At maximum resolution you can expect around twenty frames per second, but this can be easily optimised to thirty, which is the maximum broadcasting rate of the hardware. The image quality is strong, but transmission is always only ever going to be as strong as the signal – so take care when placing your cameras and the NVR not to have too much interference. Walls aren’t going to be a problem unless you’re connecting devices across a particularly complex residence. 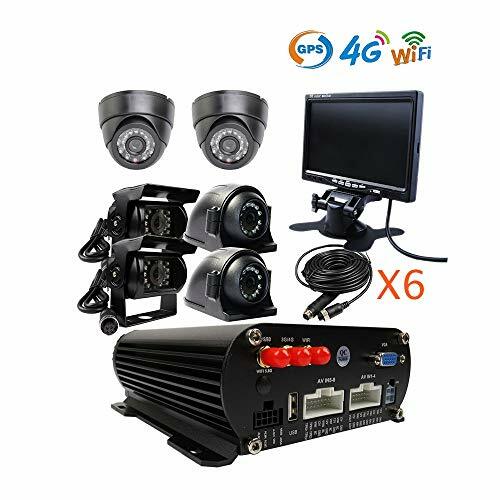 If you find the network hardware has difficulty with the scale of your requirements, the cameras have a singularly useful function: each can be un-tethered from the system and used as a standalone device. You’ll have to purchase a separate Micro-SD card to record and play back footage and you’ll lose the security options and customisation the NVR allows for, but you won’t have to worry about a dodgy connection corrupting or losing your recordings. Despite this slight inconvenience, the absence of lengths of Cat5 cable means much less DIY or maintenance work, as PoE systems under constant usage need to be consistently cared for, and while Ethernet cable is fairly cheap and readily available, it’s worth the investment to avoid it altogether if your property allows for decent Wi-Fi signal penetration. The NVR itself comes with four channels, meaning there’s not much room for expanding your network beyond the initial four cameras in the kit. The hard drive is a standard 1TB affair, and the NVR itself supports up to 4TB of storage. On a four camera setup the provided storage should last you a month or so straight out of the box, so there’s no need to rush out and buy additional storage immediately. The cameras are sealed to IP67 standards and can survive being submerged briefly, so there’s no danger of rainfall or inclement weather damaging them. Dust also won’t be an issue, and the device housings are sturdy enough to survive any bumps. As they are wireless cameras, there’s no option for PoE connections, so you’ll have to ensure that there’s a reliable power source nearby for them to feed from. The cameras utilise Wide Dynamic Range, Backlight Compensation, and Highlight Compensation to optimise light/dark balances in images, and each serves a particular purpose. Backlight Compensation and Wide Dynamic Range will reduce silhouetting of individuals and objects where there is a strong ambient light behind the subject, whereas Highlight Compensation automatically darkens areas of the image in order to make overexposed objects visible. The latter is particularly useful for identifying license plates on vehicles near your area of interest. As a part of the Q-See range you can expect full functionality from their in-house app. This means remote viewing options on mobile devices and computers from anywhere in the world. You can also nominate 20 extra users for access to the system, customising their access individually as you see fit. These cameras serve as a viable, long-term surveillance solution for larger residences and small businesses. 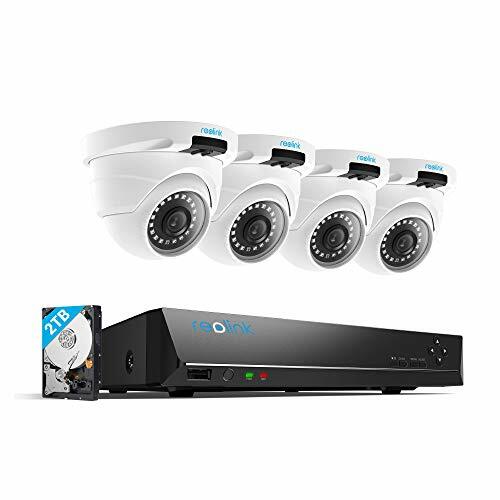 The effective Wi-Fi range, significant calibration and monitoring options, and easy installation make it an ideal choice for your first home security system. Larger businesses should perhaps consider a more substantial wired setup, as taking the time to install PoE can prove worthwhile for beefier setups. All-in-all these are versatile and accessible cameras which, properly managed, shouldn’t require replacing for some time.